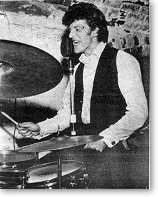 Drummer who turned down an invitation to join the Beatles. AKA Johnny Hutch. Via the Telegraph.